Sproutee happily provides a free Website Analysis Report for customers considering one of our SEO packages. Sometimes we aren’t able to provide an indication of a website’s traffic and some of our customers have asked us why. One way to track your site’s traffic is by installing tracking software on your site, such as Google Analytics, and we use Google Analytics to test and refine our marketing activities on your behalf, however, we cannot access this information before we have a relationship with you, as it is not in the public domain. So, how can you find statistics for your website before you’ve installed tracking software? Services such as Quantcast make some traffic information publicly available online which we use when we generate our free Website Analysis Report and we’ve put together this little guide to help you find public traffic information for your website. Who’s looking at my site? 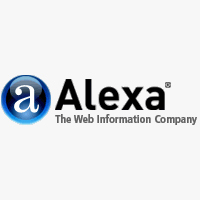 One of the main directories which can provide an indication of your site’s traffic is Alexa. Alexa is a subsidiary of Amazon and distributes a toolbar which it uses to collect browsing behavior which is sent to back to Alexa which then uses this information for its web traffic reporting. Users voluntarily install the toolbar in order to provide traffic information for the creation of Alexa’s rankings. The Alexa rank is a symbolic approximation of the number of websites, globally, that have a popularity higher than any particular site. Alexa ranks are expressed in relatively big numbers and the smaller your site’s rank, the better. Alexa rank is re-evaluated on a frequent, almost daily, basis and in contrast to Google rank, it directly reflects the popularity without dependency on backlinks or other signs of ‘authority’. There is an inherent bias in Alexa ranks, as they depend on that community of Internet-users willing to use the Alexa toolbar and the accuracy of Alexa ranks is best for relatively highly ranked sites (above 100,000). You can claim your site on Alexa. After logging in to Alexa, you can request a verification ID for your site in the form of a meta tag which you include in the head of your site. You are then able to update the contact information and site information for your Alexa listing as well as respond to site reviews. We hope this little introduction to Alexa has given you some ideas about how to track your website’s profile. Learn more about how to manage your web presence by subscribing to our free feed!